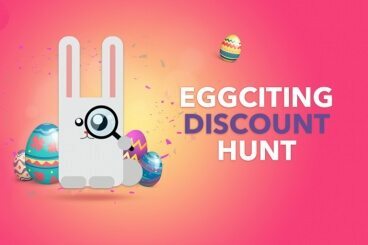 It isn’t the first time that PSD2HTML has run an Easter Egg hunt, but this year it’s back with some bigger and better prizes to track down. All you need to do is take a look through their site to track down something that looks a little bit out of place (and a little bit Easter-y!). There’s no telling what prize you could uncover… which is part of the fun! Just remember to hit the email button when you find your treasure, and you’ll get the instructions on how to redeem your reward. There’s also no limit to how many winners there are. The only thing you’ll be limited by is time. Only the first five hunters will get their hands on the gifts from StampReady and Mockplus (so you’ll need to act fast if you’re on the hunt for discounts from those two companies!). We wish you the best of luck as you get started on the treasure hunt, as well as a very Happy Easter from everyone at Design Shack! The grand Easter Hunt begins today — March 24 — and it finishes on March 29. Are you feeling lucky? Then get hunting! Good luck!